Charles University, Prague, Czech Republic is announcing a post-doc position in geomechanics. 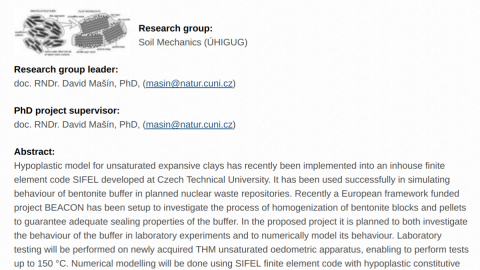 Practical information about Prague: see this page prepared for PhD projects. Renumeration: 3200 Euro/month brutto (including taxes and compulsory social and helth insurance). With Czech Republic taxes (34% health and social insurance, 15% tax) means approx. 2000 Euro/month netto. This is very good salary considering living costs in Prague. Schedule: Postodc position for 6-24 months, starting date June 2018 at the latest. 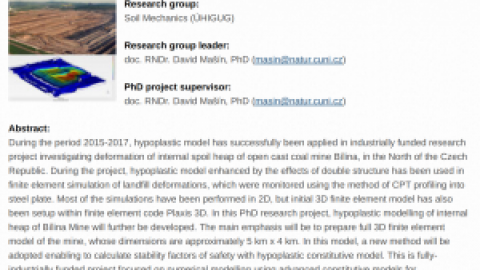 Applications (CV with list of publication and motivation letter) should be sent by email to David Mašín (masin@natur.cuni.cz) till 13. 10. 2017. 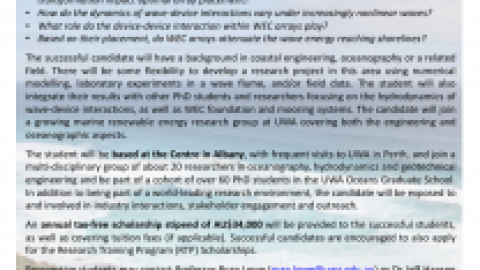 The department of Civil and Environmental Engineering at Ruhr-University Bochum, Germany, announces the job opening for a professorship "Geotechnics: Foundation Engineering and Soil Mechanics"
Open call for three PhD scholarships “Opportunities in wave energy”. 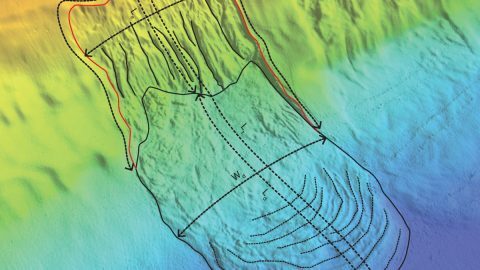 This exciting project is part of the newly established Wave Energy Research Centre in Albany, Western Australia. 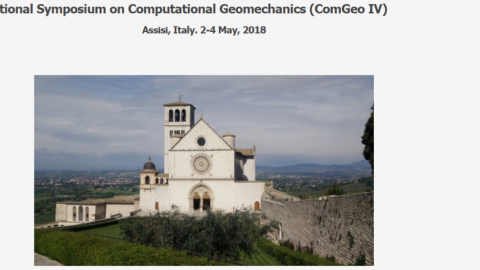 International Symposium on Computational Geomechanics (ComGeo IV), Assisi (Italy), May 2-4th, 2018. SoilModels presentation and logoInternational Symposium on Computational Geomechanics (ComGeo IV), Assisi (Italy), May 2-4th, 2018.